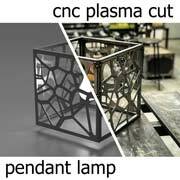 (3) 3hr classes to teach you the basics of CAD with Fusion 360, exporting to the CNC plasma cutter, and making a lampshade for a lamp or chandelier. 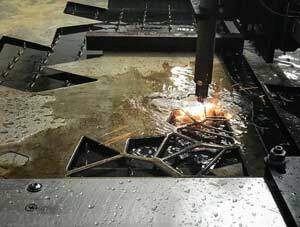 Hooray, the CNC plasma class is back! 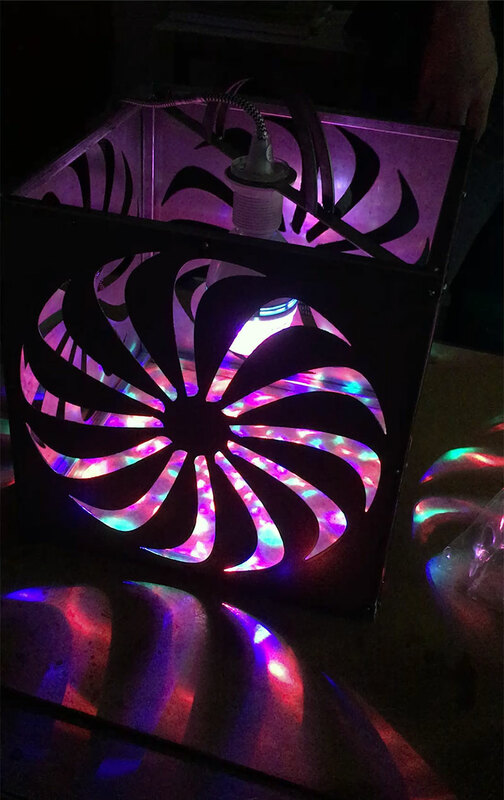 Now with three classes in one! 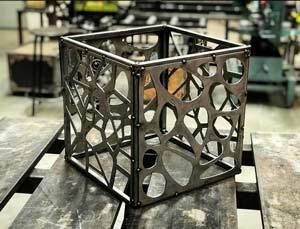 First, Jeff will teach you the basics of Fusion 360–a really powerful FREE computer design software. 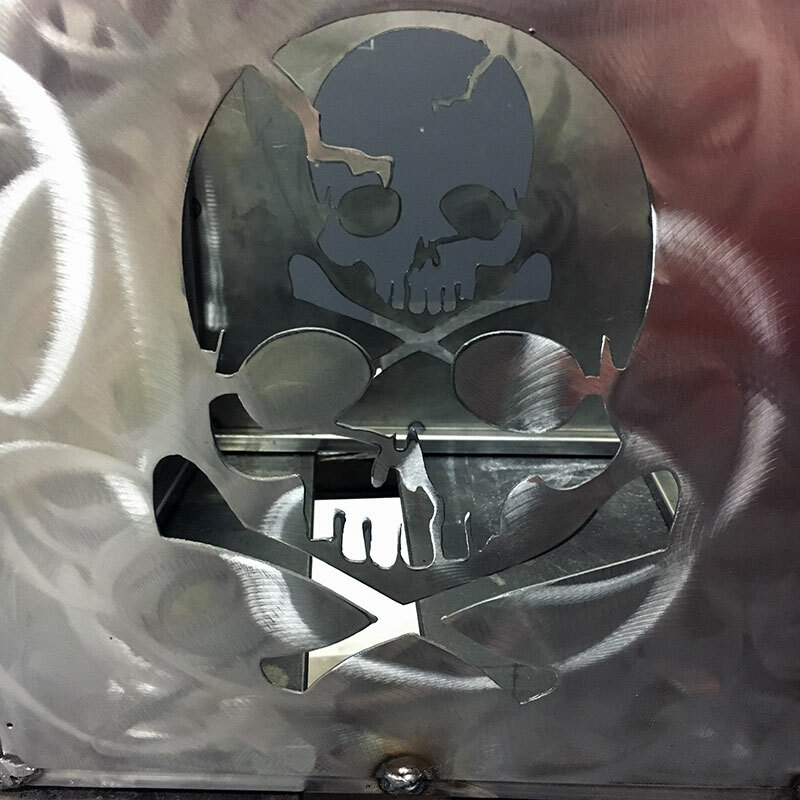 Second, we’ll teach you how to get your files from Fusion 360 and get them ready for the CNC plasma cutter. 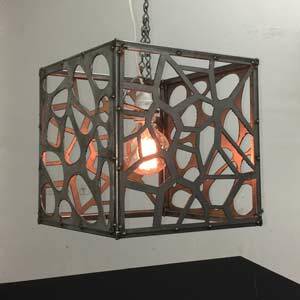 Third and final, you’ll take your CNC cut pieces and assemble them together into a custom pendant lamp you designed! 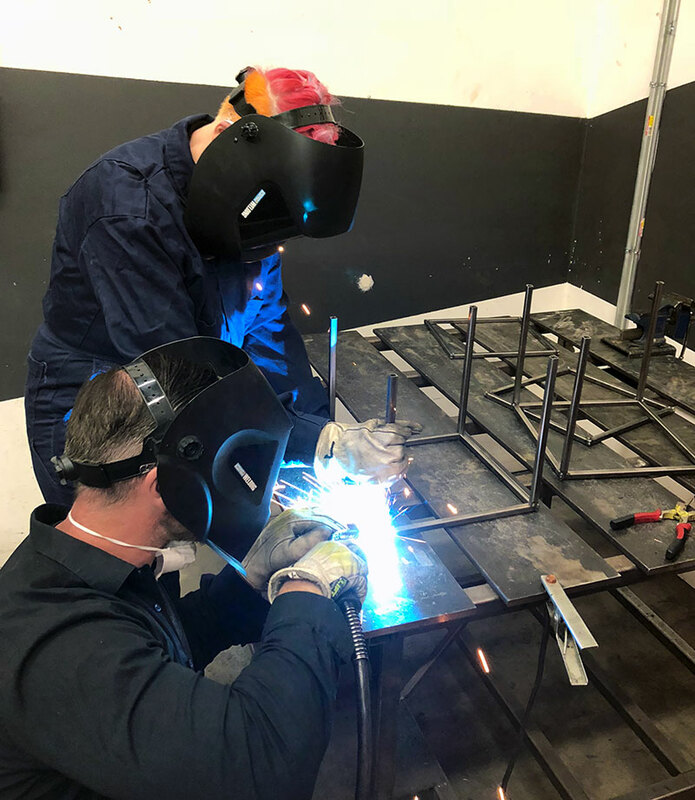 This class aims to get you comfortable designing furniture and lighting in Fusion 360, so you can see how your concept looks before you begin cutting and welding. 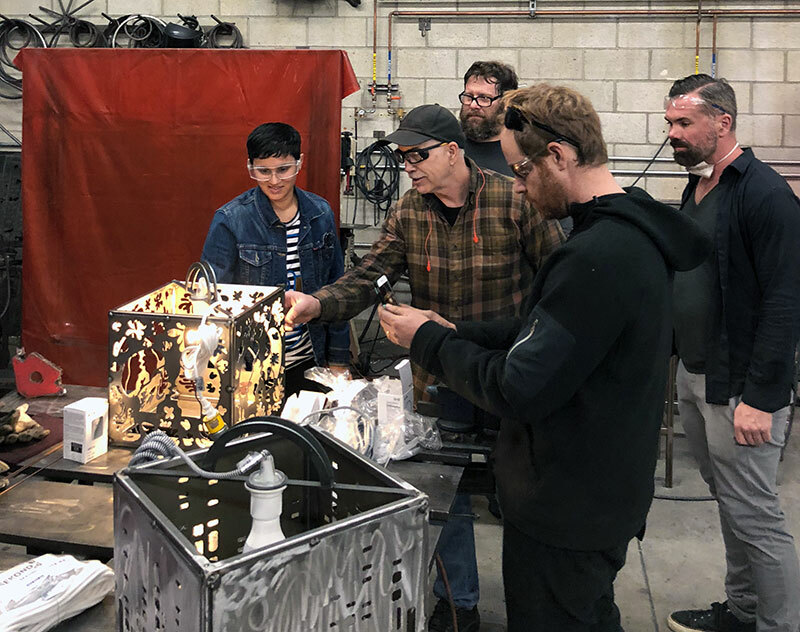 At the end, you’ll be able to make a cut list, render out a polished view of your concept, and prepare files for the plasma cutter when needed. 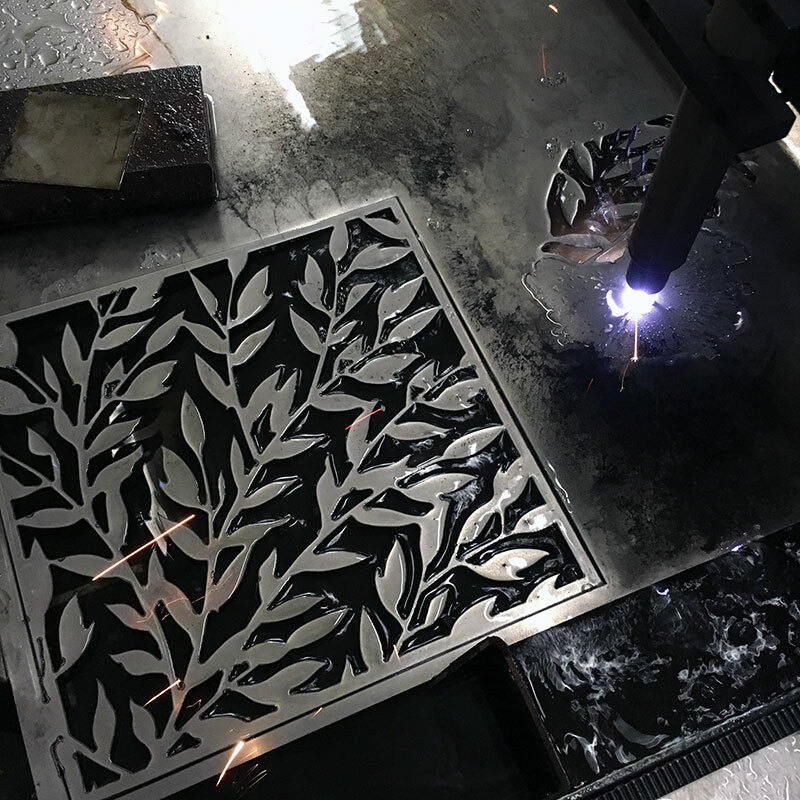 We won’t be covering every aspect of this tool, as it is much too large, but we’ll give you an introduction to parametric modeling and the design history timeline, using parameters, importing svgs, basic rendering and design docs, and finally the ever important exporting of dxf files for the CNC plasma cutter. 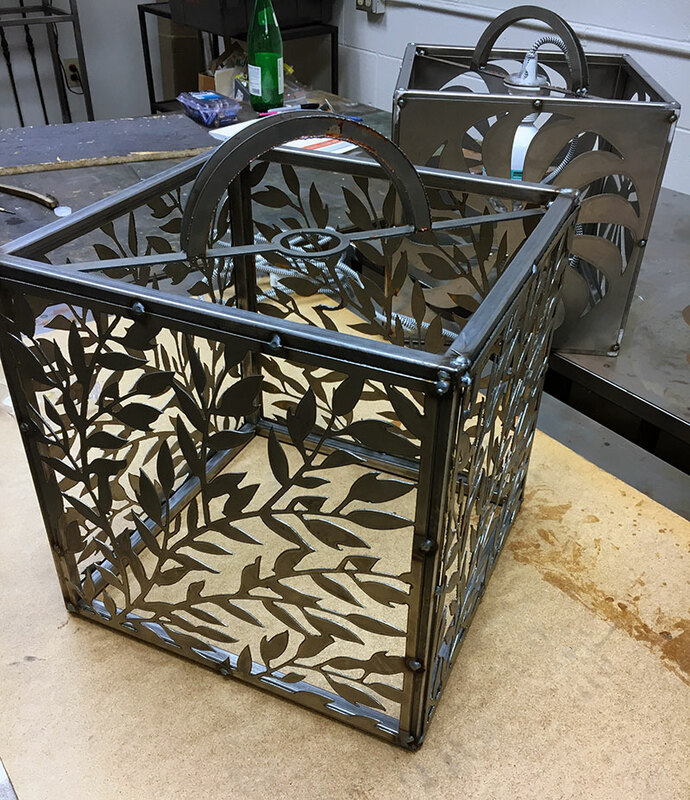 Class Details: 3 session class making 1 lamp shade (12″ x 12″ x 12″ approx). 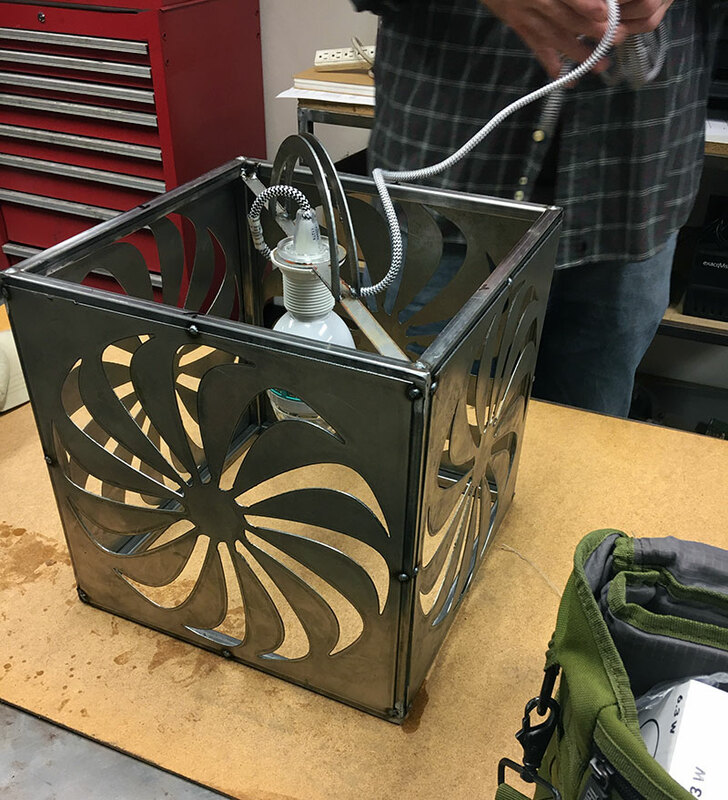 $120 (class fee) + $160 (materials, cnc cutting, and shop fee) = $280. Six students max..